Lee and Longstreet depicts General Robert E. Lee and General James Longstreet. It is just one of twelve images in G. Harvey's popular Civil War Series. Lee and Longstreet copyright© 1996 by G. Harvey is prohibited from being copied. 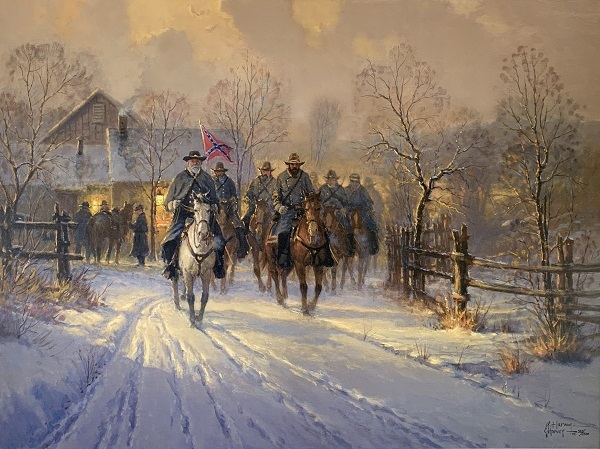 G. Harvey art, lee and longstreet, Civil War paintings, Confederate paintings, old Civil War artwork, Lee & Longstreet, art work, canvases, images, paintings, pictures, and prints of Lee and Longstreet by artist Gerald Harvey for sale. 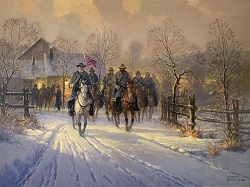 Lee and Longstreet painting by artist G. Harvey can be purchased in art print or canvas form at special sale prices at Christ-Centered Art.